THE SOUTH Mainland Up Helly Aa jarl squad impressed crowds in the centre of Aberdeen at the weekend when they took part in the city’s Christmas lights switch-on parade. The Vikings were joined by a galley as they walked down Union Street on Sunday, with the group also visiting shopping centres the day before. SHETLAND MSP Tavish Scott has reiterated calls for eye treatments to be carried out locally to save patients having to travel to Aberdeen. 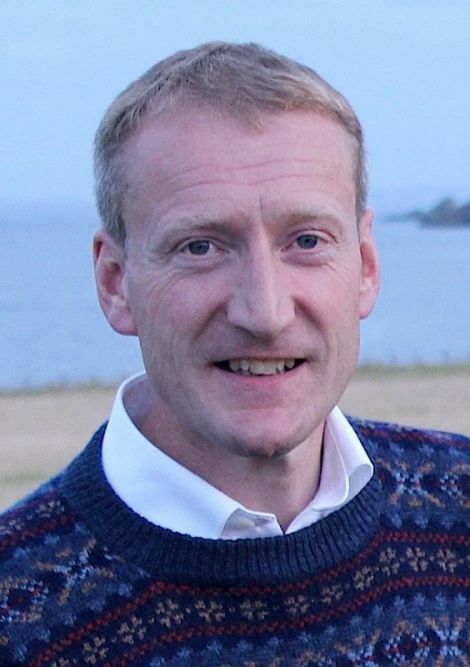 At the moment age-related macular degeneration (AMD) is treated down south, but the local health board told Shetland News recently that plans were progressing to bring the injection treatments to Lerwick next year. Around 20 to 30 elderly, and in some cases infirm, patients are transported to Foresterhill Hospital in Aberdeen and back every month for injections of drugs. “We are heading into winter where regular travel disruption is likely. This could have a serious impact on waiting times between vital appointments,” Scott said. The Yule issue of the New Shetlander is out now. As always, it contains the typical mixture of historical writing, short stories and poetry. Issue No.286 of the quarterly magazine features a few articles on the centenary of the end of the First World War, two very different short stories plus the first of a two-part biographical piece on Dr John Adie, the father of Thomas M Adie who started the Adie business in Shetland early in the 19thcentury. The magazine also dedicated significant space to poems by Roseanne Watt and Peter Ratter. Roseanne won the 2018 Edwin Morgan Poetry Prize, and Peter was on the shortlist of five.